since I restarted my computer earlier today opera won't load/draw/show ANY page including preferences/about etc. It just shows 'loading...' in the tab label but nothing else. Other program elements like the side menu work fine. I tried to uninstall/reinstall, deactivate antivirus, deactivate firewall, run as admin, rename profile/delete profile, try opera beta, clean registry, update windows, change installation directory. It still isn't working. Chrome, firefox and ie work just fine. I have no more ideas and I fear I have to give up on my opera. My system: Windows 7 64bit, opera 30.0 and opera beta. I'm having exactly the same problem. FWIW being highly infuriated, I submitted a bug report (DNA-39562) though there's not much to go on. I tried wiping my user profile, no luck. Apart from that, I don't even know where to start looking. Forgot to add that I'm on Windows 8.1. x64 also. tried to a full uninstall and reinstalled it to no avail. opera is set to go through the Windows firewall. Was working on a streaming project, while my PC crashed. Had to hard reboot it, and since then I have an Opera 30 Icon on my Desktop and well, Opera plainly just wont load anything. Not its own about page, not Speeddail not any of the previously opened Tabs. I have the Feeling that it was a once more forced update, that once again crashed my PC cause it was done just as "it felt the need to". Tried to reinstall it, no avail, tried to open it as admin, or in any other way - no change. Its stuck on loading or plainly at doing nothing. I do really hope that u get it fixed before I have to work again in a few hours. Win7 Pro N 64bit and apperently some unknown Version of Opera30. Btw, writing this from old trust IE, that miracelly doesn't update all the frigging time. I was working, closed all other Tabs except the open one. After it I closed Opera to do a needed reboot. 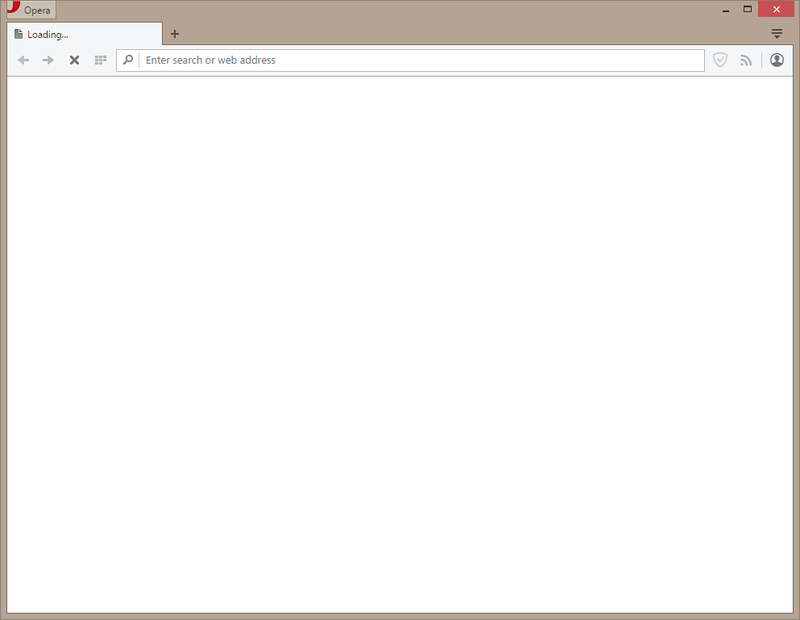 Then, suddenly Opera didn´t load anything and I just don´t know why. Last thing helped me, but not Opera. Hope there will be a solution soon, I like Opera! I had an old Opera-offline-installer (28.0.1750.51).... It works! So it really seems to be caused by a new version. Same problem here on several 2012 R2 VM's. I've try the offline package Opera_29.0.1795.60_Setup that I get from Filehippo and seems to get it back to work. I've had issues of my own with the recent Opera Update and just decided to block the Opera update Exe in my AVG firewall on my anti virus software.I hope that blocks the automatic updates and we need a way to decide if we want to update automatically.I disabled that in Firefox and just use downloaded installers to full install a new version.It means upgrading with the option to roll back to the earlier version using the installer for the previous version. @raziel16786 where did you find an offline installer, that did not automatically update itself or was nullified by the launcher as an "old" version. And how did you manage to have all your 'stuff' the same as in the working version before? eg. specific pages saved in the speeddial or all your logins and pw. Not intending to muddy the water here, but did anyone with the problem NOT perform or allow Windows updating of their OS on June 9 or thereafter? I get very suspicious of late when Microsoft issues updates and immediately there is a burst of similar user problems in other software. The MS updates (and there even was one for XP) may be a common vector. Correct my last Win7 Update was done 22.05. I refrain from updating every single time windows cries, as I had a lot of grief with windows updates and software updates in general in the last couple years. Thats why I wait some time before updating anything, especially if updates for software don't improve anything that I care of. I prefer a stable and reliable running system over a up to date system, its like with cars. I do not have to own the newest car or newest gadget in it. It has to drive and haul me around reliably and if I ever have a problem with it, it is probably an issue thousands of other people already had years before me, so I can easily and fast restore a working condition.